Have bad credit? It doesn't mean your homeownership dreams are dead. There are a variety of programs to help you buy a house. Read on. Yes, you can still buy a home with bad credit. You may not pay outrageous rates and fees either. Even better news: subprime lenders aren't your only option. Many mainstream programs exist today. We discuss your options below. Bad credit is a subjective opinion. Each lender may have differing opinions on the same credit score. Your FICO score is generally what lenders look at in determining your credit score. Each of the three credit bureaus, (Experian, Equifax, and Transunion) determine your score depending on information they have on file from your creditors. Officially speaking, Experian claims any score between 580 and 660 is "fair." Credit scores between 500 and 570 are "poor." Both categories often land borrowers with a subprime lender. This may not be necessary. Your credit score isn't the only factor. We explain why below. Subprime lender: These lenders offer loans mainstream banks don't offer. Borrowers with bad credit or high debt ratios often use these lenders. These lenders keep the loans they fund on their own books. This means they determine what risks they take at any given time. They usually charge higher fees and interest rates. If you've gone through a bankruptcy, you must usually wait at least two years after the discharge of a chapter 7 bankruptcy. A chapter 13 bankruptcy is a different process. It's possible to obtain an FHA loan before completing chapter 13 bankruptcy if you have made 12 months of plan payments and the court approves your request to purchase using an FHA loan. Consult with a knowledgable bankruptcy attorney if you are considering this option. Higher down payment: Each loan program has a minimum down payment. You can put down more, though. A higher down payment means you have more "skin in the game." In other words, you have more invested. Lenders believe this helps lower your risk of default. Reserves on hand: This is money you have set aside in a liquid account. It shows lenders you can pay your mortgage even if your income suddenly stopped. They measure reserves by the number of mortgage payments it covers. For example, a $5,000 savings account would cover 5 months of a $1,000 mortgage. Low debt ratio: Loan programs also have maximum debt ratio allowances. If your ratio is well below the maximum, it can work in your favor. It shows lenders you make smart financial choices. Compensating factors are helpful when your credit score is mediocre. The positive factors show lenders you are a "good" risk despite your lower credit score. Lenders also look to see that you are actively working on improving your credit score. Work to pay your debts on time, and pay down your credit cards. This shows that you are responsible. First-time homebuyers already have a disadvantage - they've never owned a home before. Lenders don't know if you can handle large housing payments. 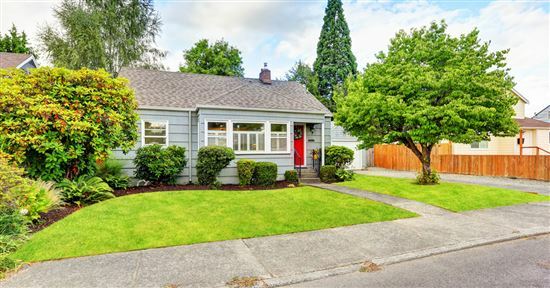 No housing history along with bad credit doesn't sit well with lenders. Save money. As we discussed above, the higher your down payment, the lower your risk. Many first-time homebuyer programs offer little or no down payment. If you have bad credit, though, you already pose a risk. Instead, offer a higher down payment. Aim for 10% or more. This shows financial responsibility despite your credit score. A higher down payment may also qualify you for a lower interest rate, depending on your lender and the type of loan you apply for. Get a co-signer. A co-signer may boost your purchase power. Co-signing doesn't mean living in the home. A co-signer can be a "non-occupant co-borrower." Government and conventional programs allow a co-signer. Most programs don't put the non-occupant borrower on the title. Establish a positive rent history. You can demonstrate a positive housing history without a mortgage. If you moved out on your own and pay rent, this may count. Lenders often verify the last 12-24 months of your housing history. They'll ask for a Verification of Rent from your landlord. They may also ask for canceled rent checks for the last 12 months. This helps them verify your timely housing payments. Let's say you have both bad credit and no down payment to offer. What lender would ever approve this type of situation? It seems risky but lenders do have loans that cover this type of borrower - with some help from the government. The FHA, VA, and USDA each have a loan program. These agencies don't fund the loans. Instead, they guarantee them. Agencies pay lenders back for defaulted loans. The appropriate agency then takes possession of the home. USDA: The USDA loan offers 100% financing for rural properties. This doesn't mean out in the middle of nowhere. The USDA sets the boundaries, many of which are right outside the city limits. Borrowers with little income do well with this loan. You can make too much money and not qualify. View the income guidelines for your area to see if you may qualify. VA: Veterans of the military can obtain 100% financing with flexible credit guidelines. There aren't any property location restrictions. You must prove you served enough time and can afford the housing payment. You can borrow as much as your area's loan limit. FHA (with a gift): FHA loans require a 3.5% down payment. 100% of the down payment can be a gift, though. Relatives, employers, and non-profit organizations may gift you the money. You can then utilize the flexible underwriting guidelines of the FHA program. There are even more options if you have down payment funds. We discuss them below. You pay upfront mortgage insurance. Right now, this costs borrowers 1.75% of the loan amount. You can roll the cost into your loan amount. It doesn't affect your down payment or loan-to-value ratio. You pay annual mortgage insurance for the entire term. You can't cancel it at any point. It's based on your average principal balance each year. The amount you pay decreases slightly each year. The payment is calculated at part of your total monthly payment. The only way to cancel the mortgage insurance premium on FHA loans made after June 3, 2013 is to refinance the loan once the total loan amount is less than 80% of the home equity or market value. The FHA doesn't fund the loans. You must find an FHA approved lender. 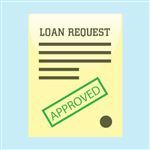 Each lender has its own requirements. Try several lenders to find the best deal. Fannie Mae Loans: Fannie Mae offers "good credit loans." But not all Fannie Mae Loans require good credit. With a 25% down payment, credit scores as low as 620 are accepted. You will need at least a 12-month housing payment history. It could be rent or a mortgage. You should minimize your payment shock. This compares the potential mortgage payment versus your current rent payment. The more your payment increases, the lower your chances of approval. Non-traditional credit sources may help if you have minimal accounts reporting. Utility payments, insurance, and tuition are a few good examples. If a third-party can verify your timely payments, it can help your case. You must purchase a rural property. The boundaries change with each U.S. census tract. You can view the latest boundaries here. You can't make more than 115% of your area's average income. You can view the latest amounts here. The USDA charges a 1% upfront funding fee. They also charge an annual 0.35% mortgage insurance fee. These fees are for the entire term. 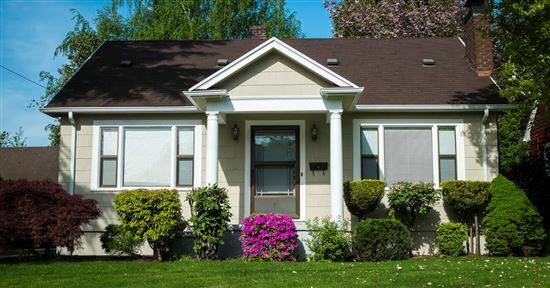 Just like the FHA loan, you can roll the upfront fee into your loan amount. You must meet the disposable income requirements for your area. The amount depends on the size of your family and where you live. For example, a family of 4 in the Northeast must have $1,025 left after paying their bills. In the Midwest, though, the same family needs $1,003. Lenders can add their own requirements onto the VA's minimal requirements. They call it lender overlays. You must have a Certificate of Entitlement to qualify. This certificate states your eligibility for VA benefits. Your lender can usually obtain the certificate for you. You must have served at least 180 days and had an honorable discharge.. Disposable income: This is money available after paying your monthly bills, such as the mortgage and other bills. Only debts listed on your credit report count. A few examples include auto loans, student loans, and credit card payments. The Baltimore Community Development Grant gives $5,000 to first-time homebuyers. Single parents can use the funds for the down payment or closing costs. Your income may not exceed 80% of the median income for the area. First Home Illinois is a mortgage and down payment assistance program. You may receive up to a $7,500 grant along with a 30-year fixed mortgage. The program is for first-time homebuyers. But, if you haven't owned a home in 3 years, you qualify as such. The most you must contribute equals the greater of 1% of the purchase price or $1,000. Habitat for Humanity homes are available throughout the United States. Their mission is to provide safe housing for those unable to afford it. The homes offered vary by community and need. Single parents who qualify may exchange sweat equity for a home. Single parents don't have to build the home. They can help the community in other ways. In addition, most homes require an affordable mortgage. The funds help Habitat for Humanity stay operable. Teachers: Several programs exist to help teachers become homeowners. Many teachers don't live within the community they teach because of the cost. These programs help with grants and affordable financing options. Good Neighbors Next Door: This program helps leaders in the community. Teachers, along with firefighters and police, qualify. Qualified professionals can purchase a HUD home for 50% of the asking price. These HUD homes are located in an area with high foreclosure rates. As a part of the deal, teachers must live in the home for 3 years. 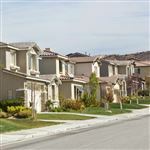 Extra Credit Teacher Home Purchase Program: Teachers in California can take advantage of this CalHFA program. Only first-time homebuyers qualify. Borrowers must currently work in a California school. They also must purchase a single-family home. Borrowers must undergo housing counseling. CalHFA does not fund the loans. Private lenders underwrite and fund them. Credit Union options: If your school offers a credit union, take advantage of the benefits. Credit unions often have favorable home financing options. They often have low interest rates and fees. They also have flexible underwriting guidelines. HUD homes are homes owned by the Department of Housing and Urban Development. They are homes borrowers with government-backed financing lost in foreclosure. Agencies sell them in an effort to make back the money they lost. Explain your case: Lenders want an explanation for your bad credit. They may ask for a Letter of Explanation. In the letter, state the reasons why you have a poor credit history. Provide as much detail as possible. For example, if you fell ill and were unable to work, state the dates and facts. It helps if you provide documentation proving your case as well. Work on your credit: Once you are back on your feet, work on improving your credit. This won't happen overnight. Consistently make your payments on time. Don't overuse your available credit, though. If you must re-establish new credit, open one account at a time. If you have accounts you no longer use, keep them open. Older accounts help your credit score increase. Shop around: Don't fall for the first lender who qualifies you for a loan. No matter how relieved you feel, shop around. Do your homework. Different lenders have different programs. Even two lenders offering the same FHA loan may charge different fees and rates. Getting mortgage information is very important to decide which loan is best for you. Shop with at least three lenders to see what is available to you. This way, you can make an informed decision. You may find that it is easier to qualify for a fixed rate mortgage rather than an adjustable rate mortgage (ARM). The adjustable rate will begin with one rate for the first year, and then change through the life of the mortgage, subject to what mortgage rates are doing at the time. ARMs are tied to an index rate, usually the LIBOR. There is a risk for buyers who have low credit and are higher risks, since they may not be able to afford the new payment if it increases after the introductory period. Seller financing: Private lenders often offer different alternatives. They have loan options your bigger banks don't offer. 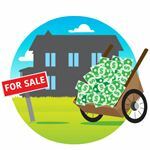 If this doesn't satisfy your needs, consider seller financing. You'll have to search for a seller who can handle this. You still sign a purchase contract and make a down payment. You don't pay a bank, though. You make your monthly payments to the seller. Rent to own: This option helps borrowers with bad credit buy a home. The landlord/owner specifies how and when you can purchase the home. Until then, you pay rent. This amount may include money the landlord sets aside for your future purchase. On or before the specified date, you can buy the home. If don't buy it, the landlord can put the home on the market for other buyers. Mobile home: Mobile homes can be less expensive than standard homes. The lower price may help borrowers with bad credit secure approval. A mobile home must be a permanent part of your land first. FHA loans work well with mobile homes because of their flexibility. Bad credit doesn't mean no mortgage. You have options. Do your homework and see what's available in your area. Grants and affordable loan options may be available. Explore the various loan options we discussed. See where you fall in the categories and find a lender offering the program. Homeownership can be a reality for you. It just may take a little more legwork than standard loans require. Leave a comment about Bad Credit Home Loans: What You Need to Know? Share on Facebook "Bad Credit Home Loans"